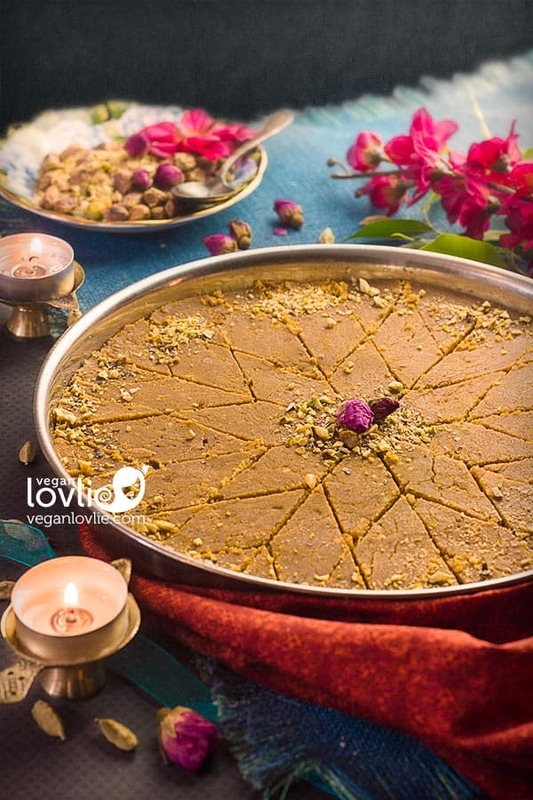 A delicious seasonal vegan besan burfi treat revealing the mellow sweetness of pumpkin married to the earthy flavours of besan or chickpea/gram flour. This melt-in-the-mouth pumpkin chickpea fudge recipe is dairy-free, gluten-free, soy-free and nut-free. It can be made for any special occasion or to simply end any meal on a sweet note. Burfis are delicious sweet confectioneries that originate from India and are very popular treats in Mauritius. They are mostly made with condensed milk or milk powder and sugar with a variety of added flavours and/or colour. Another well-known variety of burfi calls for besan or gram/chickpea flour. Besan burfi is one of my favourites and is easily made vegan by replacing the ghee with coconut oil. I make burfis in various flavours every now and then and especially around this time of the year when the temperature drops. When I shared a photo of this besan burfi on Instagram a few weeks ago, some of you asked about the recipe. I knew I wanted to tweak this recipe a little bit before posting it. I had some fresh pumpkin puree that I made from some kabocha squash and I wanted to use it in a sweet recipe other than pie. So, marrying pumpkin to besan to make a delicious burfi seemed like a wonderful idea. By the way, if you follow my stories on Instagram, you’ll catch a glimpse of the kabocha squash in question that was mislabelled as”buttercup” in the store. Kabocha squash and buttercup are two varieties that are often confused, but judging by the shape, I suspected that the one I bought was a kabocha squash and most of you indeed confirmed this. You may use other varieties of pumpkins to make the puree, any pumpkin with a sweet creamy flesh will work. If you have a watery pumpkin on hand, just allow it to cook for a little longer until the liquid evaporates and you are left with a thick puree. You may also use canned pumpkin puree if you prefer, just make sure to get 100% pure pumpkin and not pumpkin pie filling. The recipe is fairly easy but it does require some elbow grease for the final constant stirring step. Nevertheless, this little effort is well worth it; this pumpkin burfi tastes amazing. Roasting the besan or chickpea/gram flour imparts a nutty aroma and flavour to this moreish melt-in-the-mouth fudgy confection. I’ve used jaggery in this recipe which, if you are not familiar with, is an unrefined sugar available in a block form that you can shave, grate or grind to a powder. Jaggery has a golden to rich brown colour and because of its rich molasses and buttery caramel flavour, it makes a perfect sweetener in many desserts, sweet chutneys and compotes, and dairy-free fudge recipes like the one we’re making today. If you can’t get hold of it, you can replace it with soft brown sugar or coconut/palm sugar. 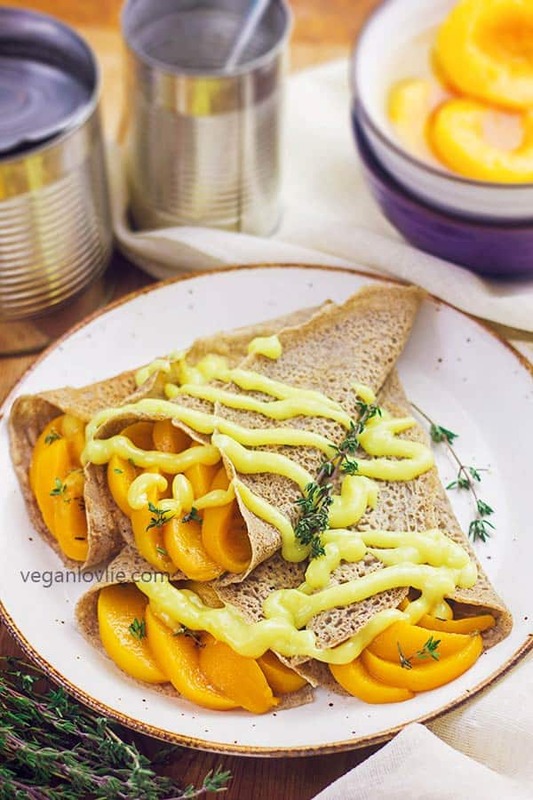 You could also use maple syrup in which case you would need to adjust the other liquids accordingly (like reducing the pumpkin puree and coconut milk). Maple syrup adds another layer of flavour and makes an equally delicious fudge with a lovely texture. Date puree might be another option too for a natural sweetener although just like maple syrup you’ll need to reduce the liquids accordingly. I would thicken the date sauce first to concentrate the sweetness, then add it in. Because of the high fibre content, dates impart a softer texture to this fudge. 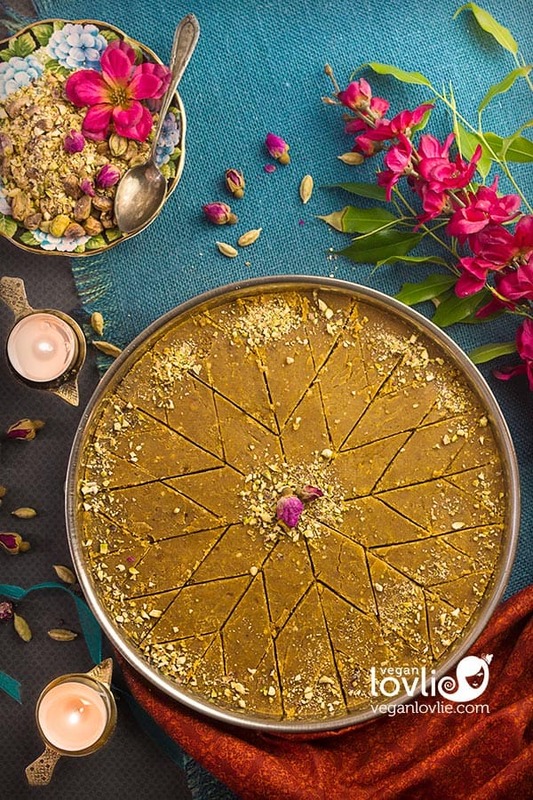 In consequence, it is less burfi-like and more like a halwa or pudding. 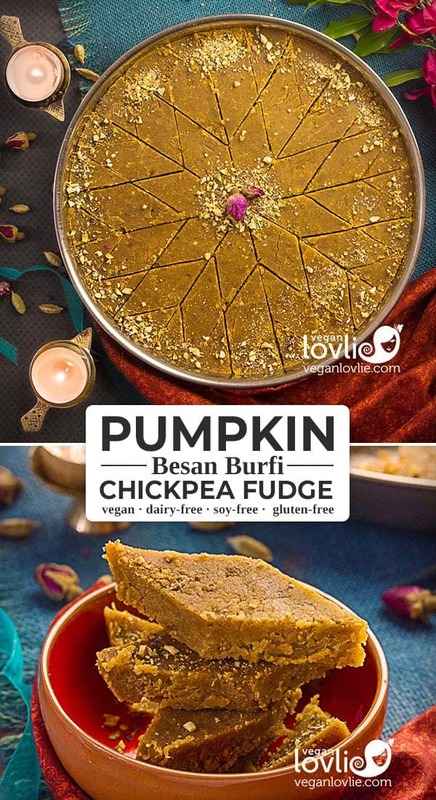 This burfi is a treat to be consumed in moderation although it does contain some healthy ingredients like pumpkin and chickpea flour that add to the nutrient profile. If you are counting calories, just don’t eat half the plate! When I used to work in an office, I would often pack a couple pieces of these burfis in my lunch box for an afternoon snack; they would give me a little boost of energy and brighten my mood too! 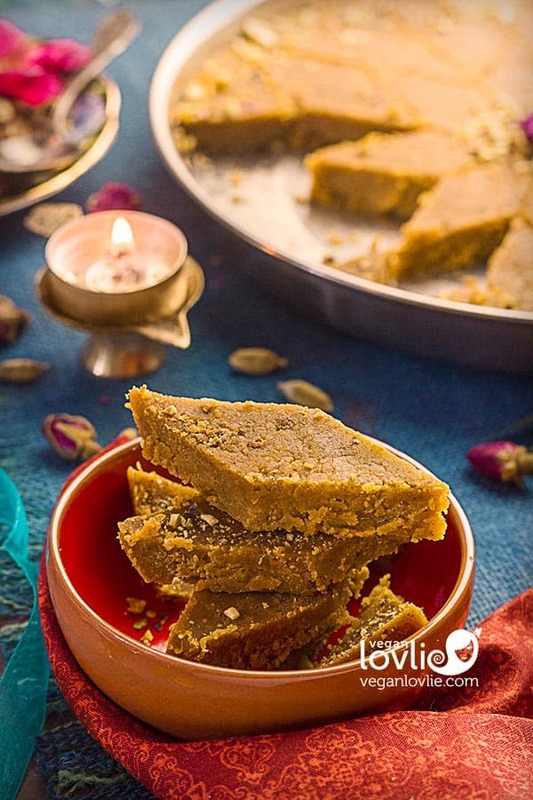 A delicious seasonal burfi treat revealing the mellow sweetness of pumpkin married to the earthy flavours of besan or chickpea/gram flour. 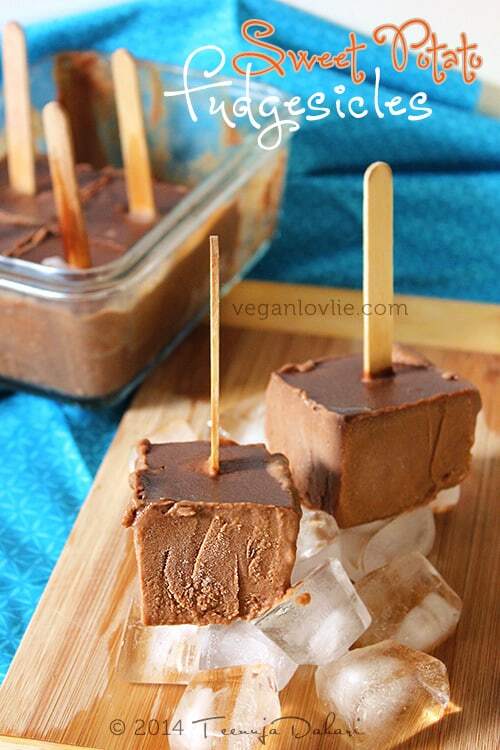 This melt-in-the-mouth vegan fudge recipe is dairy-free, gluten-free, soy-free and nut-free. It can be made for any special occasion or to simply end any meal on a sweet note. Place pumpkin pieces and water in a saucepan on medium heat. Cover and cook for about 20 minutes while stirring occasionally. Add more water as required until pumpkin is soft and easily mashed with a fork. Make sure the puree is not too watery. It should be thick although not dry and stodgy. Set the pumpkin puree aside. Place besan in a large non-stick saucepan or pot. Turn the heat onto a low-medium or medium and slow roast for about 10 - 15 minutes. The amount of time will vary on the intensity of the heat. Stir constantly to avoid scorching the besan. When the raw smell disappears and the besan changes colour to a golden light brown, it is ready. Add the cardamom and cinnamon powder. Stir and mix well with the besan. Lower the heat to a low setting while you start adding the liquids. Add 80 ml of coconut oil first and stir to combine and break all lumps. The mixture should look like coarse sand. Next add the pumpkin puree, coconut milk, sugar and vanilla essence. Stir to combine. Turn the heat back up to medium and stir constantly to continue cooking the mixture. The mixture will become a big massive blob and you will need some elbow grease to keep stirring. Add the remaining coconut oil, one tablespoon at a time while stirring to dry up the mixture (about 5 - 7 minutes). When the mixture starts to become dry and somewhat flaky on the outside, turn off the heat. Place the barfi mixture into a greased plate or mould. Using the back of a tablespoon, press and spread it out evenly in the plate. Make sure the top is nicely leveled. Set aside to cool. Once cooled, cut into desired shapes using a sharp thin knife. Barfi will get better the next day when it has firmed up and flavours have developed more. Enjoy with a cup of tea! *Jaggery (https://amzn.to/2ylAaxz) is an unrefined sugar available in a block form that you can shave, grate or grind to a powder. Chickpea flour is available at some regular grocery stores or at health stores. **Omit nuts for nut-free. 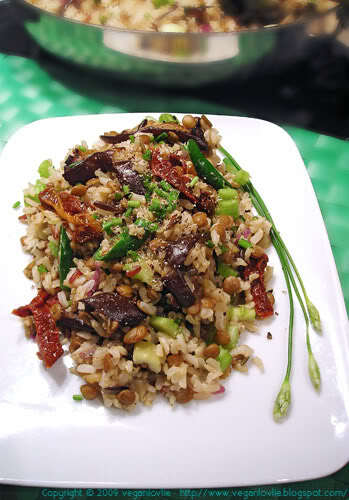 Use toasted coconut flakes for a nutty flavour. This burfi will keep for up to seven days in the fridge in an airtight container. Pin this recipe for later. And while you’re there come follow us and pin along with us on Pinterest? Thank you for this! 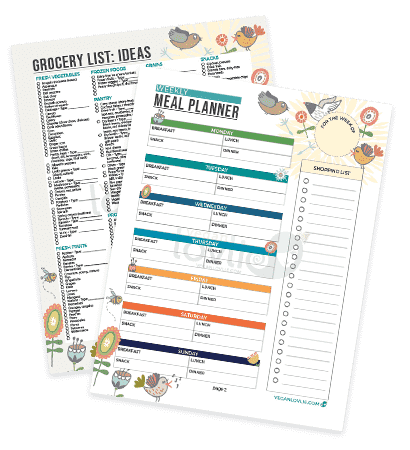 I look for those treats that have nutritional ingredients included since I rarely choose something that’s basically calories only. Chickpeas are so versatile! I use them in many different ways & love discovering new ones. Does this need to be kept in the refrigerator? Campers, hikers & climbers here and we pack our food/treats to go along. Is it possible to make this oil free? Teenuja & Keven, neither my wife nor I are vegans but the presentation of your dishes is so good that we still tend to try them out. Keep up the good work! I’m afraid I can’t allocate any stars to the recipe rating at this juncture as we haven’t tried it yet. I’m assuming that the 480 ml yield is sufficient for 2 of these dishes, hence only 240 ml is actually needed. Is this correct? Teenuja, thanks for your quick response and links to the other recipes; they both look very good. We made the barfi and it turned out great. Purely for your interest, we tend to cut our pumpkin into approx. 30mm (1”) thick slices, brush them with butter and place them on a baking tray lined with the re-usable silicon paper and bake them in a hot over for approx. 40-50 mins. That way we don’t have to worry about the water content and the peel becomes tender. We then generously remove the peel*/ skin, taking a good bit of flesh with it, which we put aside to use in another dish. One of the ways we use the nutritious skin is to chop it up roughly before adding to chickpeas when making hummus in the blender. In addition to the normal ingredients of tahini etc., etc., we add just a pinch of cumin powder and end up with what we call pumpkin hummus. The pumpkin adds a lovely colour to the hummus and we think it’s tasty too. *One has to be careful about chemical residues from non-organic produce so we give non-organic pumpkins a good scrub before cutting up. Our pumpkins are not waxed. One other idea for your consideration. In an attempt to eat smaller portions of the barfi ☺, we pressed some of the mixture into one of our chocolate silicone trays; they turned out into lovely bite size pieces. Finally, besan flour is difficult to source for us. Do you think the barfi recipe would work with coconut flour, which is readily available? Apologies for the length of this reply. This is the last question, promise! Thanks again for the recipe, this one’s definitely a ‘keeper’. Hi Tom, thank you for the tips. It’s great to hear that you liked the burfi. About baking the pumpkin, I like to provide options for people in various parts of the world (since we have an international audience) who may not have access to ovens, unless the recipe really needs an oven. In Mauritius (since this blog features quite a number of Mauritian recipes and we have quite a good audience there), many people don’t have ovens; Kevin’s mum doesn’t have an oven herself for instance. It is more seen like a luxury. I do make a lot of recipes using the oven though, but given that this particularly recipe would appeal to a Mauritian/Indian and wider audience, I have taken this into consideration. But anyway, even with baking the pumpkin, different varieties of pumpkin do have different water content. Some are dry, others are rich and creamy and still some are really quite watery. Baking doesn’t quite resolve this fully in all cases, although it might be convenient. The watery pumpkins will either need additional baking time or to be reduced on the stove. In Mauritius, the watery stringy type of pumpkin is quite common, but in Canada we get so many different kinds of pumpkins and squashes. I have made pumpkin hummus before using pumpkin puree and using pumpkin peels is a lovely idea. Thank you. It reminds me of the various chutneys that my mum used to make with other vegetable peels like bottle gourd or other gourds which are actually pretty delicious!